Just found this offer in the clearance section! 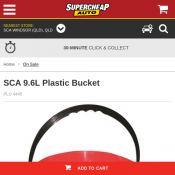 SCA 9.6L Plastic Bucket for only $0.5. Offer is valid while stock lasts.